Ukraine. Europe’s Young Heart | See you in Ukraine! Like a bridge between East and West, Ukraine is situated right in the geographical heart of Europe. In terms of territory it slightly surpasses France, and in terms of population (about 49 million), it is the fifth largest European country. Apart from indigenous Ukrainians, it is inhabited by Russians, Belorussians, Poles, Hungarians, Romanians, Crimean Tatars and other ethnic groups. 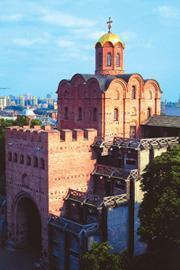 Ukraine has a rich historical background spanning a thousand years. The mightiest empires of the world contended for the right to possess this remarkable land. Many monuments dating to those centuries have survived into modern times in the ancient capital city of Ukraine, Kyiv – the cradle of the Eastern Slavs. In the west of the country, they dot the blue-tinted Carpathian Mountains, and in the south they ornament the boundless Black Sea maritime steppes and the fairytale-like Crimean Peninsula, which in days of old was a focal point along the Silk Road. All this, combined with diversity of nature, mild and temperate climate, and a rapidly developing business and tourist infrastructure, promises Ukraine the popularity of a new and interesting destination for international tourism. Ukraine is rich in a unique culture, traditions, and a hospitable and benevolent people. They are just as cheerful and young as their country that has been enjoying its independence only 12 years. It embodies the youth of modern Europe. 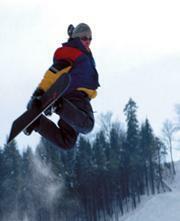 Everyone who visits Ukraine feels the pulsation of a new life here. In Ukraine, meeting guests has always been a pleasure! The recorded history of the Eastern Slavs takes its origin from the times of Kyivan Rus, a mighty state of medieval Europe. Byzantium shared with Kyivan Rus not only the Christian religion, but also the culture and the arts of a significant part of the classical world that were developed and elaborated on by the Slavs. 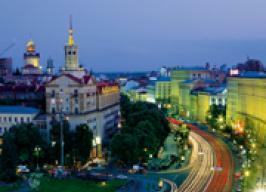 Today it is the capital of modern Ukraine, one of the oldest European cities that is over 1,500 years old. More than 2,000 structures in the capital are referred to as monuments of history, culture and architecture. These refined samples of the inspiration, talent and brilliant abilities of the people of this land justly qualify as masterpieces of Old Rus and Ukrainian architecture. Many of them, restored to their original appearance, have become a real adornment of the capital city. The old charm and the modern opportunities of the city on the Dnieper River guarantee vivid and unforgettable impressions. Kyiv – the cradle of the Eastern Orthodox Church – is a holy city for many pilgrims both from Ukraine and abroad, who travel to Kyiv to visit its old majestic churches and golden-domed monasteries. Its principal shrine – the Kyivo-Pecherska Lavra (Cave Monastery) – was built almost one thousand years ago. For many devout Eastern Orthodox Christians it is next to a second Jerusalem where they worship the relics of 123 holy men preserved in the underground caves. 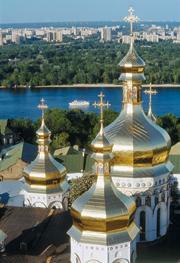 Similar cave monasteries are to be seen in the cities of Chernihiv, Poltava and Pochaiv. Different peoples left behind a multitude of fortification structures on the Ukrainian lands throughout the ages. The fortresses and majestic castles have a history, legendary aura and destiny all their own. In the western part of the country quite a few castles of the 11th-17th centuries have survived to our days. They were alternately possessed by the Poles, Austro-Hungarians, Lithuanians and Russians. The fortress at Kamyanets-Podilsky is among Europe’s matchless strongholds of the Middle Ages. It dominates a meandering canyon with the river Smotrych murmuring at the bottom. The tourist is warned not to fall under the beguiling spell of the narrow streets, mysterious looking walls, palaces, monasteries and churches. The castle at Mukachevo in Transcarpathians crowns a steep hill. Throughout the centuries conquerors invested the castle time and again, but only a few managed to force its defenders into submission. After the fall of the Bastille in Paris, the Mukachevo Castle became Europe’s biggest political prison. A no less fascinating experience will be a tour of the castles at Olesko and Zolochiv in Lviv Region, the fortress at Khotyn in Chernivtsi Region, and in the town of Zhovkva. In the valley watered by the Southern Buh and Buzhok rivers towers the grand fortress at Medzhybizh, Khmelnytsky region. The Akkerman fortress at Bilhorod-Dnistrovsky is a dominating feature along the Dniester River in the southern part of Odesa region. Bilhorod-Dnistrovsky developed on the site of Tyras, a town founded by the ancient Greeks two and a half thousand years ago, about the same time when Rome, Athens and Jerusalem were built. Sited along the Black Seashores are a number of Genoese fortified outposts. The Genoese fortress at Sudak is perhaps the best preserved. The tourist will be advised to travel to the Crimean inland to be introduced to something that is quite unusual for Europeans – the cave cities of Mangup, Chufut-Kale, Seki-Kermen and Tepe-Kermen. Anyone interested in the history of warfare and weaponry will be surprised by the extraordinary diversity of the Ukrainian heritage. Numerous sites of battle glory, converted today into museums, remind of events that had a marked influence on the history of both Europe and the world. A point of attraction in this respect is the city of Poltava, at which the troops of Peter I defeated the army of King Charles XII of Sweden and sealed the ultimate victory in the northern wars. Tourists interested in old weapons should visit the “Arsenal” Museum of Weapons in Lviv, the only one of its kind in Ukraine and among the richest collections in Europe. Yet another tourist center is Sevastopol built around a sheltered bay on the Crimean Peninsula. Founded in the 5th century B.C. as the Greek colony of Khersones, it was the site of numerous wars and battles, where swords clashed, horses neighed, bullets whined, and cannon and rockets shattered the air in deafening explosions. The exhibits in the Museum of the Heroic Defense and Liberation of Sevastopol reflect not only the events of the Crimean War but also the Second World War. The Valley of Death at Balaklava near Sevastopol is yet another reminder of the Crimean War and, specifically, the fateful charge of the Light Brigade. While in the Crimea, visit by all means the Livadia Palace where the leaders of the anti-Hitler coalition, Winston Churchill, Franklin D. Roosevelt and Joseph Stalin, met at the historic Conference of Yalta. You will have the unique opportunity to experience the atmosphere of the conference that put an end to the last world war in modern history. The Crimea is one of Ukraine’s most popular tourists centers famous for its resorts at Yalta, Alushta, Gurzuf, Foros and Yevpatoria. Located almost in the middle between the equator and the North Pole, the Crimean Peninsula is washed by the Black Sea and the Sea of Azov. It is a unique meeting place of mountains and the seas, rivers and lakes, the boundless steppe and dense forests. Three ridges of the Crimean Mountains rise over the sea like fortress walls, turning the local climate of the southern coast into a subtropical oasis. As to the number of sunny days, it is a match of Nice and other Mediterranean resorts. Unclouded sunshine, mountain and sea air, beaches, peloids (mud prepared and used for therapeutic purposes), and mineral water springs – all this make up the generous gifts of Crimea’s nature. Everywhere along the southern coast tourists will be enveloped by the inviting shade of typical subtropical vegetation – palms, fig and magnolia trees, as well as almond and spruce groves. The famous Nikitsky Botanical Gardens in Yalta have brought together a vast and representative collection of the world’s flora. The Crimea is also an intriguing crossing point of cultures and civilizations with a rich mythological and historical background that evokes real pleasure upon acquaintance. Apart from being an important historical and cultural center, the city of Odesa can prove to be a godsend, if your mind is set on leisure and recreation on the Black Sea Coast. Its mild climate, sun-swept sandy beaches, and magnificent architecture create an inimitable image of this seaport city. The glimmering seascapes that open from the cool under the luxurious shady plane trees lining the central embankment lend a particular charm to Odesa the local residents as well as numerous guests find difficult to resist. A large number of concert halls, discotheques, restaurants, bars, nightclubs, and a modern aqua park are there to offer varied and sparkling entertainment. The Crimean Peninsula can satisfy the whims of the most exacting adventure seekers. You can go in for yachting, underwater swimming, mountain hiking, rafting, hang gliding, paragliding, parachuting, mountain cycling, outings on horseback, and cave exploring. Professional mountain bikers are guaranteed an “adrenaline-boost” adventure along the slopes of the Crimean Mountains near Kerch as well as down the north western stretch between the cities and Simferopol and Alushta. Centuries ago Roman legionaries built a via militare (military road) across the mountains, which today has been wonderfully adapted for cycle racing. The earlier mentioned cave cities built by the Byzantines in the Middle Ages could be especially interesting for admirers of bike climbing, perhaps the most difficult variety of cycling. The Carpathian Mountains in western part of Ukraine, with their mighty fir and beech forests, swift rivers, rainbowed waterfalls, lucid lakes, and colorful alpine meadows invariably enchant their guests. The oldest cities in this region – Lviv, Chernivtsi, Ivano-Frankivsk and Uzhgorod – each with an image of its own and an eventful historical background, can be a wonderful starting point for a hike up the mountains. The largest fairytale body of water, the Lake Synevyr, is referred to as the pearl of the Carpathians. According to a legend, anyone who made somebody a declaration of love on its shores will never part. The Narcissus Valley presents a wondrous carpet of daffodils as far as the eye can see near the town of Khust. 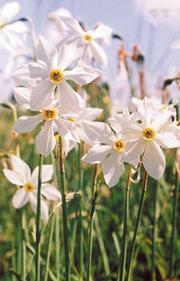 It is Europe’s only preserve of narrow-leafed daffodils. If you are interested in caves, visit the unique labyrinth of the Popeliushka (Cinderella) Cave that is about as long as the world’s longest Mammoth Cave. In the town of Kosiv you can buy authentic folk artifacts of the Hutsuls, while a meal of the highlanders’ dishes in a real kolyba shepherds’ shanty in Yaremcha will surely prove to be a supreme delight. Also, the Carpathians are a wonderful location for mountaineering, riding, paragliding, hunting and angling, while in winter skiing and sledging draw crowds of admirers of these sports. 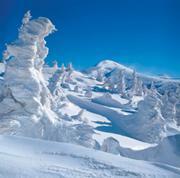 Whatever the season, you’ll be greeted with a hearty welcome in the Carpathian Mountains. 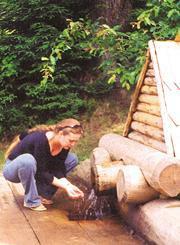 Apart from a good rest in harmony with nature, the Carpathians will add to your health. The entire highlands and neighboring areas have since long been famous for their mineral water, of which there are 400 springs in Transcarpathia alone. The famous balneological resort of Truskavets, Lviv Region, has a unique mineral water, Naftusia, with therapeutic properties that can take care of a lot of diseases; other famous spas are located in Morshyn and Skhidnytsia, in Lviv region as well. Amid the Podolian Tovtry limestone mountain range (also called Medobory) in Ternopilsky region the visitor can enjoy a refreshing rest and, if he (or she) so desires, undergo effective but inexpensive medical treatment. Tovtry’s curative mineral waters are mentioned in chronicles of the 13thcentury. The doctors of Medobory’s balneological establishments are true magicians in reviving patients affected by diseases of the nervous, substantive and locomotor systems, combining treatment with rides on horseback, tours of caves, and odor therapy. Also, Medobory is next to being a heaven for admirers of beer. Its local unfiltered variety can easily deal with quite a lot of ailments. Another unforgettable tourist attraction is the Biosphere Preserve of Ascania Nova, Kherson Region, not far from the Black Sea coast. It is the only area on the Eurasian continent that has preserved huge tracts of feather-grass steppe that shimmers in silvery waves with every puff of the wind. Bisons, buffalos, zebras and Scottish ponies peacefully graze amid the feather grass. Ascania’s pride is the Przhevalsky horse, of which there are about one hundred out of the 1,300 extant in the world. Ukraine is considered the second homeland of this rare ungulate animal of Asia. To date the preserve’s collection of fauna numbers 5,000 animals and birds representing 110 species originating from the America, Africa, Asia and Europe. Ascania Nova is frequently referred to as a “kingdom of birds” – graceful swans, ostriches, cranes, peacocks, pheasants. Adventure-seeking tourists are offered photo safaris for them to imprint this kingdom on film. For those who prefer ecotourism Ascania Nova is a wonderful place to tour on horseback to delight in the wild beauty of prime nature. While touring Ukraine you will hardly resist a tasty dish of the national cuisine. Ukrainians are pretty good cooks and generous hosts. Among the most famous dishes is, of course, the famous Ukrainian borshch with garlic seasoned pampushky puffs, varenyky dumplings, and the unsurpassable chicken-Kyiv. Borshch, for example, is prepared according to old recipes with 50 strictly measured ingredients, making the soup taste as it did hundreds years ago. Depending on what part of the country you are visiting, some of the dishes will have an exotic local ethnic flavor. You will hardly regret also ordering pyrohy dumplings, thin rolled nalysnyky pancakes filled with cheese or jam, holubtsi cabbage rolls with a huge variety of fillings seasoned with sour cream, and ponchyky fritters fried in fat and filled with sour cherries. Ukrainians are still fortunate to be eating real organic food that will certainly revive the strength of the way-worn traveller and make his meal a feast to remember. Crimea’s wines have absorbed the splendor of local nature, its brilliance and aromas. “Masandra”, the leader among Crimea’s wine makers, has, apart from its own wines, the world’s oldest collection of wines from France, Spain, Germany and Portugal. The collection’s gem is Jerez de la Frontiere of 1775 vintage. At Sotheby’s in 2001 one bottle of this wine fetched US $50,000. The local champagne “Novy Svit” is not inferior to its counterpart in France. Unique in their own right are also the wines from grape varieties that are over two thousand years old. Admirers of popular music are recommended to travel to the town of Nova Kakhovka, Kherson Region, to experience the boisterous atmosphere of a music festival that draws over 50,000 young people every year. April 1 marks the Day of Laughter in this country. It spills into the streets and the mass media and gains a Mardi gras hilarity in Odesa, Ukraine’s capital of humor, when it holds the famous Odesa “Humorina” on that day. Especially exotic and colorful in a truly Ukrainian sense is the international festival of Cossack martial art and folk art that is held on Khortytsia Island in Zaporizhia every August. In August as well the Sorochynsky Fair at Poltava is a traditional annual event dating from more than 200 years ago. 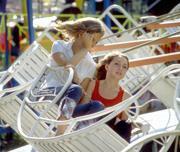 Today, the fair is a striking combination of modern business activity and national traditions. What should command the attention of admirers of high art are the Serge Lifar Ballet Competition in February, the Vladimir Horowitz Competition of Pianists in October, and the theatrical competition in Kyiv in May.